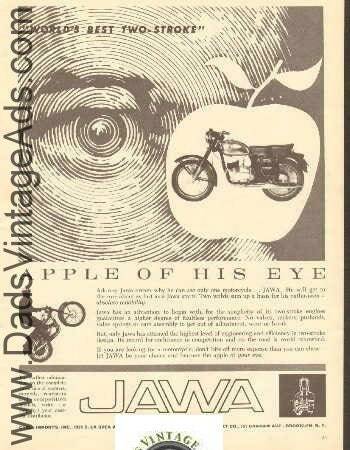 Ask any Jawa owner why he can see only one motorcycle... JAWA. He will get to the core about as fast as a Jawa starts. Two words sum up a basis for his enthusiasm - absolute reliability. Page Size: Approx. 8" x 10 3/4" (20 cm x 27 cm).